Dropbox does have security features, but Dropbox Cloud Security is still a challenge; which CASB solutions answer, thus helping firms to enjoy productivity benefits and save sensitive data too. In upcoming section, describe 5 important tips for Dropbox security. Dropbox Security – A Grave Concern! Since the time enterprises have shifted to cloud technology, file sharing, and file collaboration tools have been in great demand and have eased the methods of doing businesses. Dropbox is a personal cloud storage service meant for file sharing and collaboration; and since its inception, the service has managed to impress the industry with its host of unique features. Even though Dropbox has features for cloud security, it still continues to remain vulnerable from the cyber hackers. CASB solutions provided by Cloud Access Security Brokers provide the answer to these cloud security challenges and have helped the enterprises to make maximum use of Dropbox for their productivity benefits, while at the same time, protecting their sensitive data from being misused. To Standardize Dropbox: Most organizations, in order to ease the way of doing work, more often than not, tend to use multiple cloud-based services. The file-sharing services like Dropbox, Google Drive, and Box help them to collaborate and manage files from anywhere, anytime. CASB solutions help enterprises by providing the required visibility into the system. All the data privacy risks associated with the use of file-sharing apps are dealt with these CASB solutions. The IT departments can block risky transfers of data and train their staff to use automated messages when the user’s login to file-sharing services like Dropbox or enhanced Dropbox security. To Scan Sensitive Information: When organizations make use of file-sharing apps, the intention is to make collaboration tasks easier and the files, whatever is stored in the cloud file-sharing apps like Dropbox, is meant to be shared with users and less of a personal use. Many-a-times, the data stored in Dropbox can be highly sensitive and may include confidential information about the medical records of patients (as in case of any healthcare center), personal information of individuals and so on. This data is to be secured and can be achieved by the means of CASB solutions provided by Cloud Access Security Brokers. These solutions help enterprises to scan and identify Dropbox for pre-existing sensitive documents and secure them using policies. CASB does the work of a gatekeeper by deleting/revoking the access to sensitive data and identifying the users who have uploaded it or to the location where it is being shared. The publicly shared critical data files can be tracked with the on-demand scanning. Also, the users of Dropbox unknowingly may have made the crucial data to be accessible publicly by creating some links. CASB helps enterprises to track down such data and revoke the public-access at once; thus securing the data from being accessed by one and all. All-in-all, with efficient CASB solutions in place, Dropbox security can be ascertained. To Enable Secure Collaboration: Dropbox is used as a central file system by the enterprises across multiple branches for organizing and sharing documents and information. This particular feature of Dropbox certainly helps enterprises to collaborate multiple users on single files. 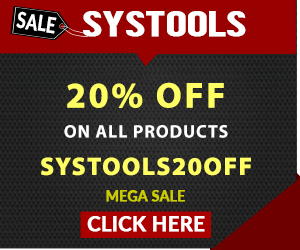 But sometimes, this becomes too risky, as the users tend to share this sensitive information with the external partners or some third-party that may not be authorized by the enterprise for accessing that data. This ups the risks of data thefts and the enterprise comes at the risk of losing its trust among its customers. CASB solutions help enterprises to address such Dropbox security concerns and enforce policies based on domain and content, so that cloud security is enhanced. Policies wherein the sensitive data can be prevented from outside sharing can be implemented by CASB solutions. To Enforce Compliance: DLP helps enterprises to achieve compliance protocols to on-premises data. Now, CASB solutions are used to achieve this for cloud-based data. The enforcement policies include blocking of files having critical information and extending the DLP policies of the on-premises data to that on the cloud. Hence, when users upload files to Dropbox, CASB passes it to the on-premises DLP protocol and this will check if the file can be uploaded or has to be blocked. To Detect and Remediate Potential Threats: CASB solutions also help enterprises to tackle the menace of insider threats by monitoring the user-end behavior. These solutions help to report and alert the IT teams for potential attempts to violate the policies laid down; thus averting chances of data breaches by disallowing the confidential data from getting transferred whenever a breach is detected. 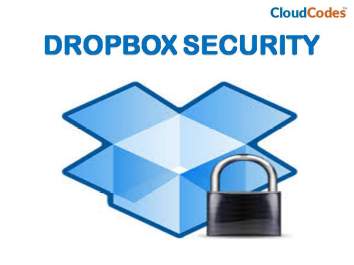 CloudCodes CASB Service provides Dropbox security solution to protect cloud data from data leakage, unauthorized access, data sharing outside organizations, data download, data upload, etc.